Make sure you choose the correct drive or else you could end up deleting your OS. Install Win32-image-writer, win32diskimager-RELEASE-0.1-r15-win32.zip or WinImage and run it. UPDATE: Rom updates after (01/29) will no longer need to manually copy boot.img and recovery.img to your sdcard. It’ll be automatic like when you install internal rom. So all you have to do is download the (SDC) rom from GooManager and boot into recovery and install the rom. Backup your apps/data as the rom will wipe data on sdcard. I’ve followed your instructions to the T, and 10.1 is up and running from the SD card. Thank you so very much for your effort. I have encountered 1 problem though. Going to the link you posted for flash player and downloading the apk, I am unable to install the Player. I get the install screen, but only the cancel button responds to my touch, the install button does not. Does anyone have any suggestions? Thank you, you turn an average tablet into a great gaming machine. Unfortunately I already purchased a Galaxy tab 3, I no longer use it, this one is much better. None of the “cm_acclaim*” files are on the download site anymore (either the ones for this page or the later page for Android 4.2.2). I am a newbie when it comes to Android, altho I’ve been dual-booting my NT for some time now. This is the first time I’ve attempted an update. I just want to be certain of one thing – I’ve applied the new ROM and GAPPS per instructions and am being told I need to wipe the data and cache. The instructions on your post say Recovery has an option to “Wipe data1 on sdcard”. I’m looking at CWM-based Recovery v6.0.3.7 and don’t see that option. There is an option 2 “Wipe data/factory reset”. Is that the option I choose? I’m concerned that this could affect the NT itself rather than the data partition on the SD card. Thanks in advance. Sorry Dave, things changes very fast in Android world. “Wipe data1 on sdcard” was an option in older CWM recovery. It doesn’t work in newer CWM recovery so I took the option out. There is a flashable file that format the data1 partition on the SDCard. You my friend are a brilliant ninja hacker!! I spent all damn day trying to get this piece of crap to work and finally someone who really knows what they are talking about! You are a life saver really I was going crazy with this! Thanks for easy “burn” image method, it worked like a charm. I just have a quick question, I used a 4GB SD card, so I have 1.8 GB of unallocated space. Is there any way I can use that left over space for installing more apps? You can manually partitions the SDCard. is there a version for the NOOK HD+? I was refering to the .zip flash fix, but I figured out what i was doing wrong and solved that. I do have a follow up though. Is it possible to get the nook to cold boot from the sdcard or do I always have to start it with the power cord? You got one of the card/device that only boot when cable is plugged in? What do I do if I have a nook tablet that won’t boot the sdcard, but as soon as I plug in the cable it boots the sdcard and I have cyogenmod? Options? Please use the latest post on Nook Tablet. NT will boot into a proper bootable SDCard on cold boot (power of state), if it doesn’t then you don’t have proper files on the SDCard/the SDCard is not formatted or partition properly/SDCard is damaged. Ask for help at XDA if nothing else work. when stuck in the recovery loop how does one flash that file? im a lil unlearned with all of this. 1)Did I actually screw it up? Are pictures, documents, etc. truly lost? 2)If I update using the built in Goo Manager will the NT be reset to factory setting? Also, on a bug report-type of note, when I first installed CM 10.1 app icons and widgets would randomly disappear from the homescreen or move to different screens. Sometimes they would do it seconds after being added. I searched but haven’t found anyone else with this problem. When you move from cm7 to cm10.1, for SD booting you have to clear cache and data1. You will lose whatever apps are installed along with the app data. when I download *cm-10.1-20130206-acclaim-HD-SDC-img.zip from the download links it will not extract. I tried using windows, winrar, and 7zip and it fails every time. I redownloaded the file 3 different times to check if it was a bad download. Am I doing something wrong? What is your OS? Try a different computer or try http://sourceforge.net/p/sevenzip/discussion/45797/thread/9d1f5836. I am running windows 7. The alpha 7zip link you gave me did the trick. Thank you for the quick response. Hi there. First off, thanks for all your work on this stuff, upgrading my nook tablet to a full fledged android tablet is fantastic. One quick question. Forgive me if this is a dumb question, but I noticed when I upgraded from the cm-10.1-20130206-acclaim-HD-SDC-img.zip version to the cm-10.1-20130213-acclaim-HD-SDC.zip version ( and then later to the april 9th version), the screen resolution on the tablet appears to have decreased. Widgets that fit fine on the screen in the earlier version didn’t fit the same way on the newer versions, everything seems bigger (ie, lower res). Is it just my imagination, or did the resolution get lower with the newer updates? And if so, is there a way to turn it back? Okay, downloaded a different image file and all works as it should now. Thanks! Okay, I’m feeling pretty much like an idiot on this. No problem downloading cm-10.1-20130213-acclaim-HD-SDC.zip, but when I extract the file, I don’t get an image file. Instead I get 2 file folders, a boot image and a recovery image. If I understand correctly, I need a complete image file for this to work. Can anyone point out my mistake on this? Thanks! You’re lowering my IQ. *SDC.zip is a rom that you install for sdcard booting. *SDC-img.zip/rar is what contain the image that you burn to your sdcard. Perhaps my first explanation was unclear. I have downloaded.cm-10.1-20130206-acclaim-HD-SDC-img.zip. If I’m following, From this I need to extract cm-10.1-20130206-acclaim-HD-SDC.img. I have tried to do this using both WinRar and 7-zip. Instead of extracting the required image file, I get a file folder named META-INF, a file folder named SYSTEM, an image file named BOOT and an image file named RECOVERY. The next step would be to burn the image to my SD card using Win32DiskImager, but I don’t have the cm-10.1-20130206-acclaim-HD-SDC.img after I extract the files. Is there something wrong with the way I am extracting the zip file or am I missing some other important point here? Thanks again. Check the file name of the file you download again because it’s clear that you downloaded a SDC.zip file. The IMG.zip/rar is around 500MB. dh, your messages are a little confusing. In your first request for help, you said that you had downloaded cm-10.1-20130213-acclaim-HD-SDC.zip. That’s a ROM archive, which would be useful if you were trying to upgrade a NT that was already running CM 10.1 from and SD card. In your second message you said that you had downloaded cm-10.1-20130206-acclaim-HD-SDC-img.zip. That should be the image file that you need if you are trying to format a new SD card as a boot disk for your NT. Check the name of the downloaded file again, and make sure you have the one that ends with img.zip. skipping: cm-10.1-20130206-acclaim-HD-SDC.img this file is not in the standard Zip 2.0 format. Please see http://www.winzip.com/zip2.htm for more information. Version needed value for this file is 63. Compression method value is 14. What am I doing fundamentally wrong here? As iamafanof says, most of the information you need is in the post. To help you past this obstacle, however, try using 7zip instead of WinZip. First – your procedure worked like a champ! Easy and my NT runs amazingly well. I was able to DL/install quite a number of apps and games, with no issues. However – i can’t seem to play any youtube files that are “HD” mp4 format. I have tried the default web browser, as well as Chrome and Firefox. I see, in your Q&A, that Mandrake 9.4 is mentioned, but that seems to be for when I want to encode files – not for files from youtube. Any ideas? Any more option to change to make the nook not drain battery while asleep? I’m on the 2/06 nook tablet SD install. I lose about 2%/hr in sleep mode. 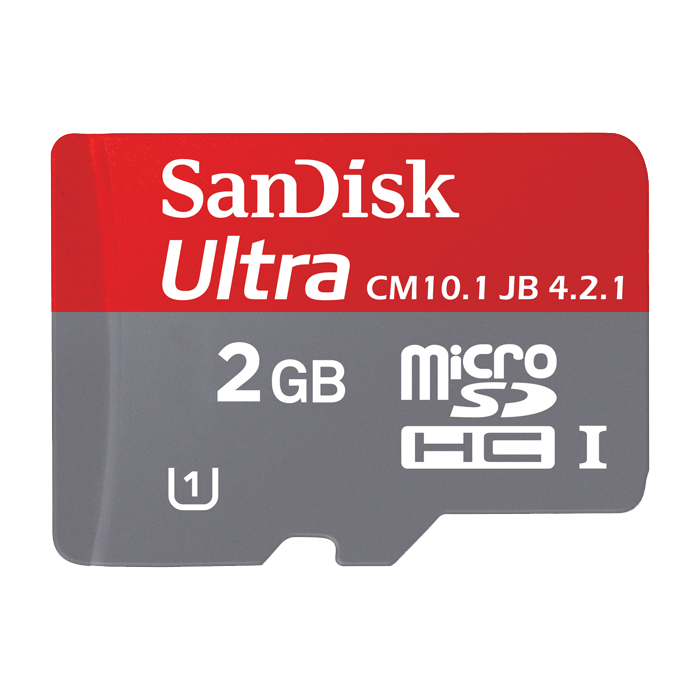 I have microSDHC Sandisk 32 GB class 10. I write image to SD and insert to my NOOK. After Cyanoboot I see the logo CyanogenMod and continue not boot. There have been a number of prior posts indicating that the Class 10 is not optimal. It has been suggested to use a class 4 or 6 San Disk Card. I can’t recall the specifics but it has something to do with how the files are structured and accessed on a clas 10. You also may want to look to burning the 4.2.2 img It has been pretty stable for me. I been having a lot of trouble… here is my set up and if anyone can help I will be so happy to get this nook ready for my wife. How to I set the partitions to use as much as I can for apps, music and pictures? “You need to use a partition software on your computer to modify your SDCard partitions. I use MiniTool Partition Wizard Home Edition. Download the software. boot your NT into Nook mode, but with the SDcard installed. Plug the NT into your PC using the charger cable. You should see two drives: one is the Nook internal memory, and the other is the SDcard. The SDcard should have the label “BOOT” if you have followed all instructions. Delete partitions 3 and 4, then create new partitions to use all of your SDcard. Partition 3 should be called DATA1 (just to conform with IAMAFANOF’s instructions), and should be a primary EXT4 partition. Partition 4 should be called SDCARD, and should be a FAT32 partition (not sure if it matters whether it’s primary or logical – I make it primary). Not that if you are using the MiniTool Partition Wizard Home Edition you need to remember to hit the “Apply” button to make changes to the partitions. Once you’ve done all of the above, eject the Nook and BOOT drives from your PC. Power the NT off, then power on to boot via Cyanoboot. You should now have lots of space for your apps and data. I think I did not answer you questions. Like I said before, the Bluetooth button, on my Nook, is just below the WiFi button in Settings. As I said in my last post, the Bluetooth Share was in my Running Apps again, and I was wrong, when I said before, that there were 4 or 5 items under it, it’s at least 7 or 8, and I stopped them all again (but not until I was finished with the Google Maps)! Still it’s under the All Apps, running, and you can’t stop it. This Google Maps program is pretty neat, I found, and it has an option to save whatever search for off-line use. Unfortunately it didn’t work, maybe because I didn’t wait long enough for it to be saved; that’s one of the frustrations in Android, you don’t ever know anything, because there is nothing to tell you whether something is off, finished or whatever! Or is there a way? So it seems to me, and I am never sure if I turned apps off, since most of them don’t have a close or quit button, or that they are still running! That, it seems to me, would be a definite drain on the battery, especially if it was trying to go on the Internet, when the Internet is Off! What do you think about it? Or anybody else know anything about it? I installed Google Maps to see if that might cause the Bluetooth Share to show up, but I don’t see it. I wonder if it’s because I followed iamanfanof’s advice for saving battery, and renamed the phone.apk to phone.apk.bk? Download Greenify and/or Android task manager from the Google Play store to control what apps run in the background. I’ll be darned, but the Bluetooth Share is back again in my running apps, but this time Google Maps is in there too. It had an update this morning, I think, or last night. Anyway it looks like it might have put that Bluetooth Share in there, and before that the Bluetooth button, if that is not a normal feature of the Android OS. I had never used it before and only just now, ran the Google Maps, for the first time, although something of the sort may have happened because of an update. Looks like I would have to get rid of Google Maps, to do away with Bluetooth Share and whatever. Thanks for setting me straight about the Apps in this OS, because it sure seemed, that the update did it, because I had not seen it before that, only the Bluetooth button in the Settings was there before that, but I updated a bunch of apps right after, so that must have done it. I installed 20130213, and I would like to know when the Bluetooth Share was put in, because it is not working right, and I would like to install an earlier version without the Bluetooth mentioned. Hopefully one of the versions between 20130129 and 20130213 doesn’t have it, so it doesn’t wipe everything again. Thanks for your help. Afterthought: Is there a backup on my device for the previous version of the OS, which was 20130122, sdcard version, and if so, can I put it back without disturbing the data and sdcard partions? I am sorry if this sounds dumb, but I didn’t know anything about Android, and never thought that I would have anything to do with it, until the 10th of last month, and since then it seems to me, that my world is filled with Android (driving me crazy)! Thanks for any help! I’m pretty sure there is no Bluetooth capability on the Nook Tablet. I believe there was on the Nook Color, but if you have the Tablet I think you are out of luck for Bluetooth. I do have a Nook Tablet, and I don’t want Bluetooth, certainly not this one, that’s why I asked in which version it first appeared. The problem is, that there is a Bluetooth Share in there, which I don’t want, and I don’t know if it is different from the Bluetooth button in the Settings, which was in all the versions I have tried (right under the WiFi button), but in 20130213, after I installed it, there was Bluetooth Share running, with about 4 or 5 items, which were all running, and all that while the Bluetooth button in the Settings was Off (you can’t turn it On, either). I stopped them all, and then it didn’t show in the Running Apps anymore, but when I looked in All Apps, it seemed to me, that it was still running, and I could not stop it. In this version my battery life is much shorter, and I have been blaming this Bluetooth. I don’t see anything under Battery, either. Where are you seeing the Bluetooth Share listed? I’m seeing shorter battery life since I upgraded to CM10.X, too. Where can I download cm10.1-20121212-gapps.zip? I can’t seem to find the file. Can you help? The 1212 Gapps is the last entry in the list of download update. Go to the beginning of the page and look for the last “download update” entry in the green text. Question: After doing a ROM upgrade for a bootable SDcard, is it necessary/recommended to wipe the data1 partition, or any other areas? I did not do so, and everything seems to be OK, but I would like confirmation. I decided not to wipe data1 because I didn’t want to have to reinstall the applications, but if it is recommended then I will do it. I do roms testing, so I always wipe data, whether it’s internal or sdcard. If you ever notice lag or weird forced closes, wipe data. Thanks. I had seen instructions, just wasn’t sure if it was required. I assume that wiping P3 will wipe all applications from the tablet. I’ll only resort to that if I notice weird problems. So far, nothing unusual. 1. Yes the charging issue you mentioned has been there since a long time ago and it has not be fixed. Some have even reported their Nook went dead because the battery is really drained and not able to wake up the Nook so that that charging can be resumed. So we need to keep the Nook at least somewhat charged and don’t let it drain too deep. 2. The Point of your question above is you are trying to do an upgrade. If you Wipe Data1 partition you are not doing an upgrade anymore and it is just like you are installing from scratch. What I do when I only want to upgrade is to only Clear Cache before I install the new ROM and gapps. It works fine for me. Thank you for the additional information, George. I managed to build the open source Android tree over the weekend. If I can get CyanogenMod to build, I am going to look into the charging issue. This wasn’t a problem under CM7, as I recall, so it must be something in the CM10.1 code. Of course, I should probably just go buy a Nexus 7, but playing with the NT is kind of fun. * Logged in successfully. Received Google+ update (not sure if that’s related to upgrade or not). Everything seems to be working fine so far. I also decided to follow the suggestion of setting max CPU to 800. Will see if it improves battery usage. I notice that the problem with charging while in stand-by still seems to be there. NT will charge if it is awake when I plug in the charger. If in stand-by, the charger LED shows green, and no charging occurs. No need to feel stupid; instructions are kind of buried with other information from iamafanof. Go to settings, and select “About tablet” at the bottom of the settings list. Tap on “Build number” several times, until “Developer options” and “Performance” are enabled in the settings menu. Select “Performance”, and then tap “Processor”. You can change the max CPU setting here, and also set it to be “Set on boot”. That’s what I did. Power utilization does seem a little better, though no real data to confirm that. If you want to disable “Developer Options” and “Performance” after doing this, go to “Developer Options” and use the slider switch at the top of the screen to turn Developer Options on, then off. Developer Options and Performance will be removed from the Settings menu. I’m also interested in whether others are finding that the tablet won’t charge unless it is on when you plug in the charger. Let me know if you’ve seen that (charger light is green as soon as you plug it on, and stays like that, unless the tablet is turned on). NOOB Question – this morning after I powered on I noticed GOOim downloading *cm-10.1-20130213-acclaim-HD-SDC.zip.. I received a message later that the download was complete. However when I went to the ABOUT TABLET screen it still reflected the 0206 Image. Where is the zip file stored? What do I need to do to run implement the update. Just to expand on this a little, go into goomanager>settings, and select “Download Path”. Iamafanof recommends storing the zip files on the tablet’s internal storage. Change the path to “/storage/sdcard0/”. When you reboot into recovery, you will see an option to select a zip from sdcard. Choose that, and then choose the internal sdcard for the next step. You should see the zips that GooManager downloaded. One note: when I used GooManager to look for GAPPS, it seemed to find an older version than the 12/12/12 version that iamafanof recommends, so I just reinstalled the 12/12/12 version that I had previously downloaded to the internal memory. Thank you for the ROM 02/06. I use it with Sandisk 16GB class 10. I do not notice any lagging in touch screen, but do not play games. I do have the same problem with youtube. If it start, I have some difficulty to stop the app.